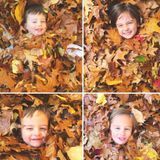 Looking for a part time nanny to help out with four kind children! Want to be hired by Cindy? We are a busy household with a 9 year old daughter, 7 year old daughter and 4 year old twin boys. We love to be outdoor and active. I am looking for someone that is organized, calm, willing to learn, loves children and can help me out with household chores. We are looking for someone to help out after school until bedtime (7:00ish) We are a happy, active family that works well on a daily routine. I look forward to hearing from you.